Write Contracts That Avoid Confusion When Circumstances Change. ≈ Comments Off on Write Contracts That Avoid Confusion When Circumstances Change. Recently Eric Goldman (otherwise know as @ericgoldman) alerted me to In re SuperMedia, Inc., an opinion by the Delaware U.S. Bankruptcy Court. (Go here for a PDF copy.) It has a lesson to offer regarding how to avoid confusion over whether contract terms apply to changed circumstances. . . .
Another Kimble Legal Writing Example – This Is How You Do It. ≈ Comments Off on Another Kimble Legal Writing Example – This Is How You Do It. Most lawyers are poor drafters, writes Professor Joseph Kimble of Western Michigan University-Cooley Law School. In a recent article, Kimble identifies two key reasons for this: law schools have tended to neglect legal drafting, and lawyers often mimic the antiquated language in form books and poorly drafted statutes. To illustrate the problem, Kimble offers a court order prepared by lawyers and judges at a recent symposium. Displaying the order and his revised version side by side, he points out, among other things, that the original has 125 words more than the revision; the original includes several legalese phrases, such as pursuant to; and the original includes unnecessary cross-references. For his full analysis, see You Think Lawyers Are Good Drafters? in the autumn 2014 issue of The Green Bag. Non-Lawyers Practicing Law? Washington’s Limited License Legal Technician. 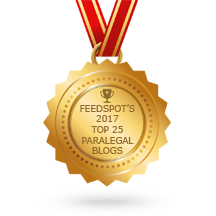 ≈ Comments Off on Non-Lawyers Practicing Law? Washington’s Limited License Legal Technician. As I noted here recently, I have an article in the current issue of the ABA Journal about the use of non-lawyers to help close the access to justice gap by allowing them to provide legal advice in limited circumstances. A particular focus of the article is Washington state’s limited license legal technician (LLLT) program. The article prompted two posts last week at Above the Law that considered the pros and cons of allowing non-lawyers to practice law. From everything I’ve learned about this issue, it is clear to me that this is not about displacing lawyers. The magnitude of the A2J gap is so enormous that lawyers can never close it alone. There could never be a sufficient level of pro bono or reduced-fee services to meet the needs. Study upon study has concluded that 80 to 90 percent of low and moderate income people with legal problems are unable to obtain legal representation. That is an enormous problem. 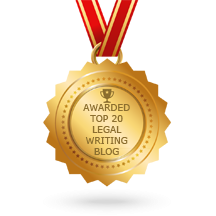 You may have noticed that, even with a glut of lawyers, the problem isn’t getting fixed. . . .
iWrite Legal – Free iPhone App For Legal Writers. ≈ Comments Off on iWrite Legal – Free iPhone App For Legal Writers. Can an iPhone app improve your legal writing? Kathleen Vinson thinks so. A professor of legal writing at Suffolk University Law School in Boston, Vinson has developed iWrite Legal, a free iPhone app designed to help legal writers improve their writing skills. The app consists of three sections — Legal Writing Tips, Legal Writing Checklist and Additional Resources — all aimed at providing advice and guidance on writing, editing and proofreading a legal document. Do you feel that it is taking a long time to draft a document? Good writing takes time but often what slows writers down is trying to edit while you write. Don’t edit/revise while you write or stop to think of the perfect word. Write quickly and then once you have completed a draft, edit slowly. If you have to, cover the screen while you type so you can fight the urge to edit while you write. The second part of the app consists of four legal writing checklists. They cover the initial stages of writing, revising, editing and proofreading. For example, the checklist for the initial stages of writing lists items such as, ‘What is the purpose of the document?’, ‘What relief do you want from the court?’ and ‘Why is your client entitled to this relief?’ As you satisfy yourself that you have covered each element, touch that element in the app to check it off. The final component of the app, Additional Resources, simply provides links to the Suffolk Law Legal Practice Skills program’s Twitter feed, YouTube video and Legal Writing Tips podcasts. So will this app make you a better writer? . . . .
Why Is Workers’ Compensation An Exclusive Remedy In Employee’s Death Case? ≈ Comments Off on Why Is Workers’ Compensation An Exclusive Remedy In Employee’s Death Case? The workers’ compensation system across the United States provides benefits to injured workers without regard to fault. When the injury is serious or results in death the workers’ compensation benefits do not feel sufficient to indemnify the injured worker or his or her estate for the loss incurred. As a result, the injured worker or his estate will attempt a tort action and then try to collect that judgment by means of a suit against the employer’s insurer. Employers and employees make a bargain: the employer will not require proof of negligence if the employee is injured and the employee agrees that he or his estate will accept the statutory benefits provided by state law and give up the right to sue the employer for tort damages. In Morales v. Zenith Ins. Co., — F.3d —-, 2015 WL 265445 (C.A.11 (Fla.) 1/22/15) the estate of an injured worker successfully sued an employer and sought to recover by means of a breach of contract claim filed by plaintiff-appellant Leticia Morales, on behalf of herself, the Estate of Santana Morales, Jr., and two minor children against Zenith Insurance Company (‘Zenith’). Santana Morales, Jr. was crushed to death by a palm tree while working as a landscaper for Lawns Nursery and Irrigation Designs, Inc. (‘Lawns’). At the time of Morales’s death, his employer Lawns maintained a ‘Workers’ Compensation and Employers Liability Insurance Policy’ with Zenith. The policy contained two types of coverage: (1) workers’ compensation insurance under Part I and (2) employer liability insurance under Part II. After Morales’s death, Zenith began paying workers’ compensation benefits to the Estate in accordance with its obligation under Part I of the policy. Under Part II, Zenith was obligated: (1) to ‘pay all sums [Lawns] legally must pay as damages because of bodily injury to [its] employees, provided the bodily injury is covered by this Employers Liability Insurance’; and (2) to defend lawsuits for such damages. In relevant part, Part II contained an exclusion barring employer liability insurance coverage for ‘any obligation imposed by a workers compensation … law’ (the ‘workers’ compensation exclusion’). On December 3, 1999, the Estate filed a wrongful death action against Lawns in Florida circuit court and obtained a default jury award to the Estate of $9.525 million in damages against Lawns. . . .
Can Plaintiff Defeat Defendant’s Motion In Limine To Exclude Facebook Evidence? ≈ Comments Off on Can Plaintiff Defeat Defendant’s Motion In Limine To Exclude Facebook Evidence? Working as a deckhand can be extremely dangerous. There are plenty of reality TV shows with fishermen, tugboats, and salvage crews to highlight the risks professional mariners face daily. What is also risky in litigation is posting on social media information that could hurt your case. In Newill v. Campbell Transp. Co., a former deckhand brought motions in limine to limit social media evidence and other testimony in what apparently was a trial over a shipboard injury. The Plaintiff attempted to preclude the Defendant from introducing Facebook posts that showed the Plaintiff could engage in physical activities, despite his claimed injury. Newill v. Campbell Transp. Co., 2015 U.S. Dist. LEXIS 4350, 1-2 (W.D. Pa. Jan. 14, 2015). The Defendant sought to introduce Facebook posts that the Plaintiff engaged in ‘painting, landscaping, flooring, going to the gym, undercoating a truck, and going physical.’ Newill, at *2. The Plaintiff further offered his skills as a handyman on social media. Id. The Court held that the Facebook posts that reflected physical capabilities that were inconsistent with his claimed injury would be allowed at trial. Id. However, if during the trial the Plaintiff felt a social media exhibit was overly embarrassing, the Plaintiff could challenge that specific post under Federal Rule of Evidence 403 at that time. Newill, at *3. The Defendant had a witness [presumably an expert] who was to testify that the Plaintiff’s Facebook posts ‘probably [were] not giving the employers a good impression,’ was simply speculation and thus not admissible. Newill, at *4. This might have been different if there was some evidence that the connected the Plaintiff’s employment status to his social media posting, but none was offered. Id. I am an Evidence geek. Love it as much as the Rules of Civil Procedure. The difference is Evidence goes to the heart of a trial: What is admissible? . . . .
Trouble With Typos? Ten Tips To Help Get Rid of Them. ≈ Comments Off on Trouble With Typos? Ten Tips To Help Get Rid of Them. Some typos are more than embarrassing; they’re costly. Contracts, for example, are not good places for typos. A Canadian utility company became famous for the ‘million dollar comma‘ lawsuit when they had to pay another company more than $2 million because of a misplaced comma. Typos aren’t a new problem either. There are a few old editions of the King James Bible that have typos. A 1612 edition known as the ‘Printers Bible’ reads ‘Printers have persecuted me without a cause’ instead of ‘Princes have persecuted me without a cause,’ and another one from 1635 is called the ‘Sinner’s Bible’ because it reads ‘Thou shalt commit adultery’ instead of ‘Thou shalt not commit adultery.’ Whoops. When you want to avoid embarrassing yourself, incurring costly lawsuits, and leading believers astray, here are 10 tips to help. Have someone else read your work. The best way to find typos is to have someone else read your work. They don’t know what you meant to say, and their fresh eyes will almost always catch things you missed. Since that’s not always possible, here are some other solutions. When you’re writing on your computer, use the auto-correct feature.I also call this the ‘know thyself’ trick. For example, I always type ‘pateint’ instead of ‘patient.’ Always. But with the auto-correct feature in my word-processing software, I can tell the computer that every time I type ‘pateint’ it should insert ‘patient.’ Problem solved! The best way to find typos is to have someone else read your work. Run your work through your computer’s spell-checking tool. It’s amazing how many people don’t do this. Don’t think the computer is infallible though. The first choice it gives you may not be the right one, and spell-checkers often think correct possessives such as children’s and someone else’s are wrong. The computer can highlight things you should check yourself, but it isn’t perfect. Print your work.Always proofread a printed version of your work. Many people find that if they try to proofread on a computer monitor, they miss more errors than when reading a printed copy of their work. Give yourself some time.If possible, let your work sit for a while before you proofread it. If you are able to clear your mind and approach the writing from a fresh perspective, then your brain is more able to focus on the actual words, rather than seeing the words you think you wrote. Read your work aloud.This forces you to read each word individually. I write a script for each Grammar Girl podcast, and when I read it to record the show, I almost always find an error I missed when proofreading it other ways. A long time ago, a listener told me that he felt uncomfortable reading his writing aloud at work, so he does it while pretending to talk on the phone so people don’t know what he’s doing. Force yourself to view each word.If you don’t want to read aloud, you can force yourself to consider each word by using the tip of a pencil or pen to physically touch each word. You can also force yourself to focus on smaller sections of the document by putting a ruler under each line of text as you are reading or by cutting out a small rectangular window on an index card and sliding it over your copy as you read. [[AdMiddle]8. Read your work backward, starting with the last sentence and working your way in reverse order to the beginning. Supposedly, this works better than reading through from the beginning because your brain knows what you meant to write, so you tend to skip over spelling mistakes when you’re reading forward. Philip Corbet recently reviewed some of his favorite proofreading tips in his New York Times column ‘After Deadline,’ and I picked up a couple of new ideas there. Separate proofreading tasks.Read the article through once to just check the spelling, and then read it through again to just check the punctuation. By separating tasks, you’ll be able to focus better on each one. Print your work in a different font with different margins.Bryan Garner, the author of Garner’s Modern American Usage, posted this tip to his Twitter feed: ‘When you’re sick of editing your own work, you should print it in a different font with different margins. It works!’ I’m going to try that one on my next book. VIDEO: ‘The Impotence of Proofreading‘ by Taylor Mali. ≈ Comments Off on Email Etiquette. Email Etiquette, Judge Gerald Lebowitz, Legal Prof Skills Blog, Louis J. Sirico Jr. If you are looking for a short article for your students on email etiquette, you might consider “Email Netiquette for Lawyers,” republished in “Senior Lawyer” by the New York State Bar Association (here). Judge Gerald Lebowitz offers sensible and sound advice that should help the reader use email effectively and avoid pitfalls. iPhone and iPad Tips, Apps, and Podcasts. ≈ Comments Off on iPhone and iPad Tips, Apps, and Podcasts. • If you listen to podcasts, I strongly encourage you to check out Overcast, a fantastic app that I use every day. California attorney David Sparks explains why he likes the app. • New York attorney and iPhone J.D. reader David Rosen asked me to share that he started a new blog on New York civil procedure called Arguments & Demonstrations. In his latest post, we learn that, according to a recent New York opinion, chimps are not people with legal rights. Those damn dirty apes! • CarPlay is a technology that is just starting to be included in new cars. In theory, it should be the best way to connect your iPhone to your car. In practice, the technology is still pretty new and rough around the edges. Jason Snell of Six Colors explains how it works, and also what doesn’t yet work. • One of the more sophisticated features of iOS 8 is that apps can include action extensions, so that you can use features of one app from within another app. Allyson Kazmucha of iMore rounds of 11 good examples of action extensions on the iPhone. • Rene Ritchie of iMore has some great tips for using Safari on an iPhone. Drugs Found During Search of Luggage. Was Consent Sufficient? ≈ Comments Off on Drugs Found During Search of Luggage. Was Consent Sufficient? The panel affirms suppression of drugs found during a traffic stop in Louisiana. The car with a California license plate was occupied by three people on a cross-country trip from California to Miami. Out of the hearing of the other two occupants, the officers asked Iraheta for consent to search the car, and he consented. Based on this consent, the officers searched the luggage in the truck and found drugs in one of the bags. Typically, consent to search a vehicle applies to any unlocked containers within it. However, ‘[t]he sole fact that luggage is located in a car’s trunk is insufficient to show joint control over those items.’ ‘Iraheta clearly did not have actual authority to consent to the search of multiple pieces of luggage in the trunk of a vehicle occupied by him and two passengers.’ The officers were on notice of this because the car was occupied by three people on a cross-country roadtrip and there were multiple unmarked bags in the trunk. While the defendants did not object to the search or assert ownership of the bags, the panel found this not to be determinative, particularly since the other defendants did not hear Iraheta consent and were not informed about it. Furthermore, the defendants had standing to challenge the search because they did not abandon the bag prior to the search. Over-Delegation? Something Was Bound To Go Wrong! ≈ Comments Off on Over-Delegation? Something Was Bound To Go Wrong! Mistakes happen. It’s why pencils have erasers. But it’s also why law firms install tier after tier of increasingly senior professionals to second-guess every ounce of work product. It’s remarkably effective — and fairly lucrative on an hourly basis. Unfortunately, the flip side of a tiered system is a tendency toward over-delegation. And that’s how an unwary paralegal ends up costing a bank millions. The paralegal passed the assignment on to one of the dudes in the mailroom and the cheese stands alone. . . .
Research and Drill Down Into the Invisible Web. ≈ Comments Off on Research and Drill Down Into the Invisible Web. College researchers often need more than Google and Wikipedia to get the job done. To find what you’re looking for, it may be necessary to tap into the invisible web, the sites that don’t get indexed by broad search engines. The following resources were designed to help you do just that, offering specialized search engines, directories, and more places to find the complex and obscure. Whether you’re looking for specific science research or business data, these search engines will point you in the right direction. Turbo10: On Turbo10, you’ll be able to search more than 800 deep web search engines at a time. Agrisurf: If you’re searching for information related to agriculture and farming, check out this engine. IncyWincy: This search engine canvasses the deep web. Direct Search: Direct Search covers the invisible web, offering results in books, government, and much more. SurfWax: The SurfWax search engine taps into the deep web and offers search tools for feeds, news, blogs, and more. ZoomInfo: Get information about corporations and job searchers here. Internet Archive: Here you’ll be able to find movies, music, text, and more, even including sites and pages that no longer exist. TenKWizard: This business search engine covers Forbes, specific industries, and exchanges. ZabaSearch: This search engine serves up public records like phone numbers and addresses. Clusty: Perform your search across a number of engines at once with Clusty. BusinessResearch: This deep web search scours the business web. The Online Books Page: Here you can search for more than 25,000 full-text works. E-Print: Check out E-Print to find sites and databases for scientists and engineers from one search engine. Guggenheim Museum: Search for artists through this database. Kompass: On this search engine, you’ll find entries for products, services, and companies. Scirus: Search journal sources and more with this scientific information search. TechXtra: On TechXtra, you’ll be able to search for resources in engineering, mathematics, and computing. Smithsonian National Portrait Gallery: Find portraits for more than 80,000 people in this database. Science Research Portal: In this research portal, you can search the deep web for scientific topics. Infoplease: Infoplease offers a search engine that combines reference tools like an encyclopedia, atlas and almanac. Pipl: Pipl brings together profiles, public records, and documents to serve up relevant information about people. . . .
Link Rot – How To Archive The Internet? ≈ Comments Off on Link Rot – How To Archive The Internet? Verizon Zombie Cookies Must Die! ≈ Comments Off on Verizon Zombie Cookies Must Die! ‘We have heard the concerns and are actively re-evaluating this method,’ Max Ochoa, Turn’s chief privacy officer, wrote in a blog post. Turn’s zombie cookie was exploiting a hidden undeletable number that Verizon uses to track its customers on their smartphones on tablets. Turn used the Verizon number to respawn tracking cookies that users had deleted. The company said it will now re-evaluate its practices. ≈ Comments Off on Deposition Advice for Witnesses. The name ‘Discovery’ doesn’t quite do justice to the litigation phase it describes. When it’s done well and with purpose, the point of discovery isn’t so much to discover evidence as it is to create evidence. In deposition, for example, the deposing attorney’s fondest wish is not to discover the witness’s view of what happened, but instead to get that witness to confirm the attorney’s version of what the case requires. For that reason, taking a deposition is all about control. The deposing attorney would just testify on his own if he could, but the process doesn’t allow that, so the next best thing is to fully control the witness. And the best way to fully control the witness is to lead. . . . Pro Bono Isn’t Charity – It’s A Duty. ≈ Comments Off on Pro Bono Isn’t Charity – It’s A Duty. That law is a profession, not just a business, has long been a theme here, and I haven’t been shy about pounding that theme whenever possible. And yet, I’m particularly wary when the theme is used in ways that blow beyond professionalism as a weapon against lawyers. Pro bono isn’t charity. I cringed recently when I heard a longtime public interest lawyer refer to pro bono work as what big-firm lawyers do so they’ll have something to put on their tombstones. I’m not that cynical. I think it’s work that lawyers do because they belong to a profession, and professions have obligations to the broader society in which they operate. Otherwise they don’t deserve the privilege of self-regulation and the honor of a special status in our courts. Part of the price for that status is serving those who can’t afford legal services. It’s a duty, in my view, but also an act of self-protection. With outside investment money beginning to slosh around the legal world, the question of bar regulation will be visited again in your futures. If you want to maintain the current framework, you have to pay the dues. It’s a profession, if you choose to keep it one. . . . The most overdue District of Columbia hearing committee report (perhaps ever) has finally been filed. Attorney Wayne R. Rohde was convicted of felony hit and run in Virginia way back in 2005. After a night of heavy drinking at a D.C. bar called Rumors, he drove home to Virginia. En route, he caused a head on collision that seriously injured a woman, backed his car away from the collision and drove home. His effort to avoid detection failed in part because he had left his car bumper (with license plate affixed) at the scene. He managed to convince the Court of Appeals to not suspend him pending the disciplinary proceedings, a departure from the court’s usual (indeed, nearly invariable) practice for felony convictions. The hearing was competed on January 15, 2008. The report was filed last Friday – seven years and a day after. ≈ Comments Off on E-Discovery Is Scary! Electronic discovery, the collection and production of electronic documents in litigation, is a scary thing to many lawyers. Some are so scared by it, in fact, that they just deny that it exists and continue to produce only hard-copy documents. Of course, that is a terrible idea. And not at all in compliance with the rules of procedure. But, alas, it is what it is. There are times that a lawyer will want to produce electronic records, such as text messages, emails, and, heaven forbid, social-media content, but simply not know how to do it. I had an opposing counsel call me once and say that he was willing to produce his client’s relevant Facebook posts if I would show him how to do it. Ummmm, no. My point, though, is that lawyers are ethically bound to understand and comply with the applicable e-discovery rules but, as a matter of practical reality, that does not mean that they comply. Which is why e-discovery continues to be a predominant subject for discussion in the legal profession. A recent case from South Carolina gives a pretty good example of how not to produce electronically stored information (ESI). In Wellin v. Wellin, the defendants moved to compel the production of certain ESI, including emails, text messages, and Facebook posts in ‘native format.’ (Native format means, in the most basic sense, that if it was originally in electronic form, you must produce it in electronic form, as opposed to paper form).